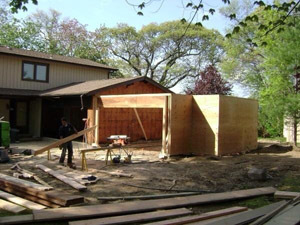 Expediting Long Island can provide building permits for all new and existing construction. When needed, E.L.I. can obtain variances in order to get your property legalized, and end any open problems you may currently have with the town. Terence Connelly's familiarity with local and county code regulations can help expedite the process of getting your building permits approved quickly. He can help close any open permits that have never received certificates of occupancy, and can aid with the paperwork needed if plans have been modified since the permits were first applied for. Any repairs that need to be made in order to bring your home or construction project up to code can be made quickly and easily through Home Doctor contracting corporation, by our staff of licensed, insured professional builders. E.L.I. will work to prepare your home for inspection by your local building department. Accurate measurements will be used to draw up any plans or architectural drawings needed for the application of required permits. Our associates can help survey your property and apply for whatever CO's are needed to pass inspection according to your local municipality. Our specialization in the area of unpermitted additions and illegal structures is second to none. We can help remove or resolve any existing violations you may have with the town, and quickly set you on track for legalizing these modifications. Even if these changes were made prior to you owning your home, our expediter service can draft up a plan to address code enforcement problems and give you total peace of mind.